There are many request for topics about affiliate marketing for the beginners. I guess, this is because most beginners find challenging to identify the simplest yet effective step-by-step guide to start small business online. Most of them wasted so much money and resources searching for the right one. If you are one of them, I bet you must be asking “is affiliate marketing for the beginners?”. To tell you the truth, I used think like you. But, the good news is, YES, affiliate marketing is for beginners! I could still remember when I made my first affiliate commission. I was so happy that I just couldn't sleep that night. Guess what? It was just a $16 commission I earned through ClickBank. And I actually paid $1,000 training fee to learn this from a marketer conducting workshop in Malaysia. Even so, I was still excited and flaunt my success in our workshop chat group. It was so real that I could hardly believe. The next day, I got the same commission again but ironically from the same buyer. I suspect it was made up so I could share success story with others, making believe that this program works. To cut the story short, I ended up not earning any money. Despite facing challenges in affiliate marketing, I still believe it works. If there are people who can earn money online, then affiliate marketing must be real. Here are additional 50 best proven ways to earn money online if you want to explore more. Since physical workshop didn’t work for me, then I try online courses. Found some cheap courses but mostly low quality. It didn’t bring me anywhere near to earning a real affiliate commission. I still couldn’t figure out how affiliate marketing works. When I was on the verge to give up, I landed on a pretty interesting page. It brought me into a community of affiliate marketers and that inspires me to explore more. I realized, to grow with affiliate marketing, PERSISTENCE is the key. I make many friends in this community. Some are beginners who want to learn affiliate marketing, others are small business owners wanting learn online marketing strategies to grow their business. There are also people who are advanced marketers using the platform for their existing affiliate business. 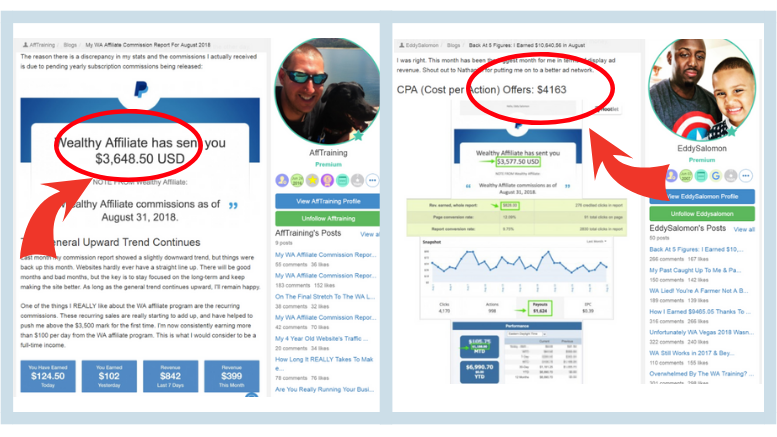 Two marketers I know earning decent affiliate commission are Jerry and Grace. Both managed to make 4-figure income selling only one product (with free traffic strategies). Jerry, a 21 year old Taiwanese now residing in Singapore, gave up the offer to study in the prestigious National University of Singapore (one of the top university in Asia) and currently earning a consistent 4 digits affiliate income. Grace, mom of two daughters and wife to an awesome man living in USA. She worked hard on her website and managed to make $3,698.50 affiliate commission last month. Are they Real Person? You must be thinking they are made-up. Like you, I have doubts too. Because there are just too many low quality but aesthetically packaged affiliate marketing workshops in Malaysia. And they gave me solid, workable advice on how I can make affiliate marketing works! Here are more success stories from marketers in this community. This reaffirm me that affiliate marketing truly works! Many of us have participated in affiliate marketing one way or another. And you might not realize it. For instance, I once recommend a friend to join an executive MBA course. When she enrolled, I was given a commission of $500. I achieved this simply by referring someone to buy. This is one example of offline affiliate or more commonly known as referral program. When you want to buy a pair of good hiking shoes but you don't know how to choose, what’s the first thing you will do? I guess most probably you will do some research on Google and check which one has the most number of positive reviews right? Then compare prices, check credibility of seller, before you buy online. The moment you make the purchase through a link, someone out there is making money. And this person is highly possible an affiliate marketer. It is very simple. Affiliate marketing involves process of promoting someone else products and get paid. You just have to join an affiliate network, find a product to promote and earn commission when someone buy. There are many affiliate marketing websites that we can quote as an example. Let’s recall the purchase of hiking shoes which can be one of the many good affiliate marketing examples. When you do research online, the content page (video, article or infographic) that you landed on might be created by an affiliate marketer. This content (sample as below) will consist of information that you need in order to make a purchase decision. Very likely, it could be a convincing piece of content to make you buy. So whoever is the affiliate marketer promoting the content and make you click the link and buy, will be credited with a commission by the real seller. The content is only created once (read how you can write once and get paid many times), found unlimited times by different buyers from around the world and the buying will repeats. That’s how affiliate marketing works. You just need to create content once, then let the cash generate on its own. That's how many marketers can quickly start small business online. Like what I’ve mentioned just now, affiliate marketing can allow you to be paid again and again for work that you only did once. This is because, your website can be generating passive income for you 24/7, even when you are not at work. This is how you really achieve financial freedom where you can’t get from any traditional 9-5 job. In traditional business, you need to buy stocks and incur overhead like rental, salary and utilities. But affiliate marketing does not require this. It is low risk and low cost. The biggest cost is your TIME! I am not sure about you but I work best at home or at some quiet café. Working this way inspires me and make my ideas flow. Working for others seems more about rules, regulation and instruction. You won’t have flexibility to work as and when you like it. Neither can you implement ideas that you think will work. So, choosing affiliate marketing is the best solution to uncover more possibilities with least investment. You will then be fully in charge of your own success! You are your own boss where nobody can instruct you. Neither will you need to report to anyone or be compelled to do thing that is against your principle. This is what real freedom, real flexibility and real empowerment are all about. You just need to find a product from thousands of selection, share your affiliate link to potential buyers and that’s it. There is no need to worry about setting up payments, providing customer service, tracking sales and delivery. All that support is handled by the real seller. Face-to-face selling is not for everyone. Many people fear rejection from selling face-to-face. That’s why when so many people sign up for MLM marketing, they ended up spending more to stock up products for own use than to sell. You have the choice to do affiliate marketing that does not require meeting people! Basically the person you need to face is just your laptop. You won’t have problem of rejection in affiliate marketing…. because you won’t even recognize who is not clicking on your affiliate link! No experience needed to start affiliate marketing! You don’t need to have specialized expertise of your niche too. Neither require coding nor design skills to build website (learn how to start a beauty blog here). The best is you can start anywhere and anytime you like without going through interview after interview! But if you are working for others now, I suggest you to start affiliate marketing part-time. And only go full-time when you are ready. Affiliate marketing is for everyone. As long as you are willing to put in consistent effort, you can definitely earn passive income. The difference between 9 to 5 job and affiliate marketing is whether you are thinking long term or short term. In 9 to 5 job, you work for your paycheck. And you know the moment you stop clock in to the office, that’s the day you stop getting paid. But affiliate marketing is different. Like what I mentioned earlier, you just need to do once and get paid continuously. You choose when to work and when not to, yet still earn passive income. You no longer receive the same paycheck but rather can decide how much MORE you want to get paid! There is no experience needed at all because we have an awesome community to help you …. as long as you have the determination to succeed online. There are just so many ways to start affiliate marketing. You can create a Facebook page to engage customers; pay for search or display advertisement, promote product to your list, buy solo ads, and many more. But the method my community and I are working on to start affiliate marketing is called Search Engine Optimization or Content Marketing. It is about creating highly engaging SEO optimized content (text, video and/or voice), drive blog visitors and promote affiliate products to them. You just need to select products from reputable affiliate marketing program like ClickBank, Amazon Affiliate Sites, ShareASale, JVZoo and Commission Junction. I signed up for all of the above. It is free. But I don’t promote products from all of them. For example, Amazon affiliate commission rate is only less than 5%, therefore I will opt for other program to start affiliate marketing. Look, I am not saying promoting Amazon products is not profitable, just that my preference is different.There are many people who earn lots of money selling Amazon products too. You need to read carefully the rules of each affiliate network. All are not the same. If there is any sign up that requires a fee, then don’t go for it. It is mostly scam. Once you sign up, you will be given an affiliate link (this is one of my affiliate link) and when you get people to purchase through your unique link, you earn commission. But the process of getting people to buy is not easy. You need some skills in creating content and driving traffic. Again, it is about how consistent, patient and determined you are to achieve your goals. If you are determined to start your affiliate marketing journey, then I suggest you also learn from our community. Or if you want to start on your own, here are 6 steps to take. A niche is the target market or a group of people who are interested in the products that you offer. It will determine the topic of your website and the affiliate products you are going to sell. I select my niche based on my skill, passion and hobby. I love marketing and have been in this industry for some time. Therefore I created this website to share my knowledge to people who are interested in marketing too. Please do not worry too much about how good you are on your selected niche. I am not a genius in marketing too. But as I build my content, my knowledge improved. Some people who are expert in their niche might not even know how to capitalize and monetize. What you need to learn is “marketing”. Once you master the skill, you are able to sell effectively to your target audience and get paid. Affiliate marketing can earn you passive income but definitely not an auto-pilot business. You can’t earn lots of money without putting in much thoughts. There must be some strategies and implementation plan in hand. As most of us start affiliate marketing part-time, therefore first you must have good time management to start with. I suggest that you spent 2 – 4 hours per day. Before you even think about strategy, you need to identify your goals that is time specific. For example, goals can be number of content, number of sale or even average click-through-rate (CTR) you want to achieve per year. For the strategy, I suggest to focus on content creation. Whether you are creating video, article or podcast, content need to be consistently published. This is one interesting step which I like most because you don’t really need to think too much and can just do it! I bet when you hear about building website, the first reaction you might have is “I don’t have design skill and don’t know how to code”. Wait, do you think I know how to code? Building website is the simplest in affiliate marketing. In fact, many marketers including myself have no coding skills. Thanks to SiteRubix that I managed to build my website in minutes. Next, you need to search for the most ideal affiliate product that is relevant to your niche and sell. There are many techniques to start. But here I would recommend you to start by checking out on Amazon for best seller list (best seller generally means more people are demanding for that particular product). The list changes all the time and marketers are advised to do product research as an ongoing activity. This is particularly important for niches that highly depend on market trend such as fashion and beauty products. We all know that marketing is a number game. The more visitors landed on your website, the higher chances for you to close a deal and get paid (learn how to get more blog visitors). In affiliate marketing, there are 2 types of traffic, paid traffic and free traffic. Basically paid traffic is the visitors who come to your website through paid advertisement like those taught inside Stack That Money and free traffic are normally through clicking on the link shown on Google and Yahoo search results. The community I hangout with mostly use free traffic. The final step is definitely to make money and get paid! As long as you have in place good strategy, irresistible offer and highly targeted traffic, you can make money when they convert. Of course, for advanced marketers, they will know the techniques to upsell more affiliate products to their customers and maximise earnings by creating sales funnels. Profit Builder will be great if you want to create sales funnel and automate your promotion. That’s the huge, unlimited income potential in affiliate marketing. This is one big question from a lot of beginners in affiliate marketing. The amount of money conventional businesses can make is limited by location due to logistic issues, but affiliate marketing allow marketers to sell and get paid anywhere in the world. According to 2018 live update by Wordometers, currently it projected a total of 7.6 billion people living in this world. And it is increasing every second! Can you see how potential affiliate marketing is? Let me quote an example from one of my most respected mentor Pat Flynn who earned more than $2 million in 2017. Is this number good enough for you? But if you think this figure is too far away from you, let’s look at some affiliate marketers in the community I hangout with. Apart from Jerry and Grace, both Mike and Eddy also earn decent passive income from affiliate marketing. Again, result shown below is commission made from selling one product! You might be wondering how long does it take for them to earn that income? Let me first quote you my personal experience. I started to earn my first commission 2 months after consistently working on affiliate marketing with the community I mentioned just now. Other than making affiliate commission, I also generate income from providing marketing consultancy services to my offline clients. Despite it was not recurring like my affiliate commission, but the amount is equivalent to decent income earned by most marketers. Remember Jerry and Grace that I mentioned earlier? Both of them managed to earn 4-digits passive income in less than 2 years by selling a single product. Here are more success stories from small business owners in my community who make commission promoting affiliate products. They were once beginners too. Similarly, they went through step-by-step affiliate marketing training in this community. A new marketer on average can achieve financial freedom within 12 to 24 months. However, this is not a guarantee and depend on individual effort. Are you willing to put in more of what others are doing so you too can start to make passive income, and quit your 9 to 5 job? This seems like an obvious yes but how come there are still so many who are not achieving what they desire? As I spoke to business owners in my community recently, they shared with me some important rules in affiliate marketing that many people might overlook. I feel that I must share with you so you can make wise decision on whether affiliate marketing is really for you. Many people think that affiliate marketing can be run as a hobby and therefore do not take it seriously (Oops… I was one of them, but not now). Most will only work on it as and when they have free time. This is really a wrong concept if you want to make affiliate marketing works for you. You can’t expect to make full-time income when you put “adhoc” mentality into it right? It is just common sense. Whether you doing affiliate marketing or selling your own products online, consistence is the key to achieve your goals. You need to have a well-planned schedule and follow through. You must have consistence (also balance) in “creating” and “promoting” content. As a rule of thumb, I focus on 20% creation and 80% promotion. Regardless what is your plan, being consistence is the key to accelerate success in affiliate marketing. Lol… this is the toughest for me. Are you a person with patience? Affiliate marketing is never a get rich quick scheme, so you need to have patience. And it's not going to make you rich overnight. It is in fact more challenging than MLM. Those advertisements promises you $5,000 income in 2 weeks are over-rated. If not, most probably come with some conditions. When I first started affiliate marketing, I tend to check on my commission every single day. Being new, of course I won’t earn so quickly. The more I check my commission, the more I got demotivated. But now, rather than wasting my time checking on commission, I focus to create more good quality content to rank my website. And commission will quietly creep in and SURPRISE you! Remember, the sky is the limit? How much you want to earn really depend on you. So, just be patient. I am a learning individual and feed on knowledge. Continuously learn and acquire new knowledge is like food to me. Once deprived, I can be an angry person. Like the Chinese saying, “a hungry person is an angry person”. You need to continuous learn in order to implement. But how do you start? In affiliate marketing, it is important to find a mentor. Throughout the journey, some people might feel overwhelmed and start to have doubt. When this happen, they might lose patience and give up. But a good mentor will be there to inspire and guide you towards achieving affiliate success. I guess you might be thinking how much it is to hire a mentor. Don’t worry, not all mentor must get paid. Remember earlier I told you about the awesome community I hang out with? There are many experienced affiliate marketers from different niches to guide you along the way. I too have a few mentors that I follow and guided me throughout my affiliate journey. Of course, I myself is also a mentor to many newbies and small businesses. Conclusion: Is Affiliate Marketing for The Beginners? Yes! Affiliate marketing is for the beginners. I was a beginner when I started this website. I am not sure about you but affiliate marketing is something that I want for my future. A plan for me to earn passive income NOW, and also serves as my FUTURE retirement career too. I wouldn’t want to retire with no income and nothing to do. That will be boring. If like me, you are also ready to …. … then affiliate marketing is for you. 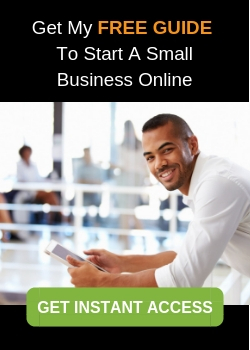 To help you get started, here's a free guide that I've put together to help you start a small business online. I hope you are now convinced that affiliate marketing is suitable for beginners too. If you have any questions about affiliate marketing, do leave me a comment below and I'l answer as much as I can. 28 Comments on "Affiliate Marketing For The Beginners: Deep Insights"
This is so inspiring. I often times have to remind myself that patience is the key. I struggle with this just like you because I am so anxious to be successful and have financial freedom. People have to remember they get out of it what they put into it. it’s really up to you, you have to actually work. It’s not a hobby. It’s an actual business. Good Luck to you! I wish you the best! You are right Staci. It is all about hard work and most importantly is keeping persistence. I am constantly cultivating my patience too. As I create more content, the more I am motivated to move further. I am sure you can definitely make it one day! I am so glad you talk about patience, finding mentors and taking consistent action. This is a real inspiration. Your Step by Step beginner’s guide really lays out a solid plan of action from finding a niche you like, having goals (so important) and driving targeted traffic to your good content website with affiliate offers. A definite recipe for success and I am so happy I can be guided through every step by the Wealthy Affiliate package, training and community. Hey i really enjoyed your article, it was very informative. I have came across a lot of dishonest affiliate training programs. But i would never spend 1000 because iknow not to trust anything that wants that much. I am glad i came across Wealthy Affiliate i have learned a lot here and i still have a lot to learn. I am putting all my focus on my main site for now and leaving my second site behind so i dont take on too many things at once! Yes, Wealthy Affiliate helped me start this blog. And I never regret since then. 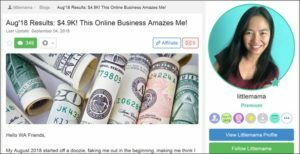 Any beginner who want to learn how to monetize through blog should start here. But if for advanced marketer, then I believe WA is one of the highly profitable affiliate product to promote. I know nothing about affiliate marketing. It is good to know that you start learning from many different sources. Interesting results I see you have there and I want to be like you too. Can you teach me how to do it? I feel so alone at learning this up. Hi Kit, you are not alone. 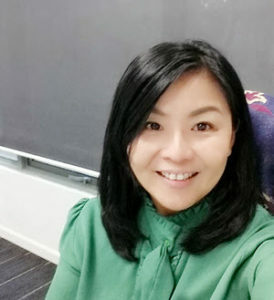 You can always connect with me at florenceki@clickwebsuccess.com anytime. Or follow my tweet @clickwebsuccess Let me know if there’s anything I can do to help you. Adding to my point earlier, I believe everyone wants financial freedom and affiliate marketing can give that. Just need to put in hard work and stay determined. There are always moments when i feel like not getting nowhere. But i keep on moving forward to finally get paid. I know affiliate marketing works. Thanks also to Wealthy Affiliate that help me build my first blog too! You are right. Wealthy Affiliate is indeed on amazing community that help many succeed online. I just read one success story that enable this school dropout earn $5k a month! What a fantastic article on Affiliate Marketing! You have covered so many key areas however the one I wanted to touch on is how SEO and content marketing are probably the best options when building your website. Alot of the others may be quicker on return, but they cost money to advertise, and if you don’t know what you are doing, you lose money on your ads you placed and money for the program that was showing you how to do it! When we blog, and put content out there, it is out there forever! It doesn’t cost us a dime. If a beginner finds this type of platform that you are part – then they will save themselves a lot of heartache in the long run – and save alot of money too! What a wonderful article on affiliate marketing! I absolutely loved it! You’ve provided such a fantastic overview yet also shared some of the great details. I’ve been working on a website and affiliate marketing for about a year. In my limited experience I’d say you are spot on with the persistence and patience piece. It is a long process but also fun. I’ve learned so much and really been inspired by some of the same people you mentioned! I love the sense of community at Wealthy Affiliate. Your are most welcome. I would love to connect with you inside Wealthy Affiliate. Here’s my profile. True. when I first started to venture online, I can’t determine what is the right program to learn from. And I make so many mistakes along the way trusting the wrong ones. Luckily I found Wealthy Affiliate. This is how I started this blog to share all of what I’ve learn to earn money online. WA has indeed helped me build this business. The good news is, anyone can join as starter for free! Wow! What an article. This was great and so informative! Since I came across Wealthy Affiliate I haven’t learned a lot, but I am still learning. You really inspire me to continue learning. And guess I also should share to my readers about WA so more people can benefit from this program. Thank you very much for sharing. You are most welcome Stein. Sincerely myself at the beginning when I started with my blog, I thought that everything would happen quickly, but it has not been, I’ve been with my blog for eight months and it has been growing little by little, at the beginning it made me feel a bit desperate, but then I started to see that I need to have patience and make better posts and focus on that. Fortunately, the patience I have now is the key to making my writing better every day. I have not yet gotten any commission, my products that I give as a suggestion have not been chosen. So I’m still working hard to achieve better raking in internet search. Thanks for the compliment. Instagram marketing is also another way to promote affiliate products. Here’s how to become Instagram influencer and earn money online. I like the idea “20% creation 80% promotions. In spite, we can publish our content daily but without marketing, nobody will know you exist. Combining both SEO and Social Media is great. This is because SEO takes longer time to attract organic traffic, while social media optimizations can give instant results. Thank for sharing this fantastic article and you have covered almost every area on affiliate marketing. There are many more ways to drive traffic other than SEO and social media. Here are some other ways to drive traffic. Beautifully written description of affiliate marketing. It is by far the best way to earn a living online! I to had my doubts when I first joined with Wealthy Affiliate but after meeting the wonderful members like you and Grace (littlemama) I knew I had made the right choice. It is a wonderful inspiration to know that you are making money with your efforts. Do you have any pointers on how to get such good referrals? Hi Cathy, thanks for the trust. I would say the most important thing is to make sure that we spend enough time to promote our content. I’ve found 4 ways to get blog visitors without relying too much on Google. Hope this helps. So glad you shared your experience of your training program in Malaysia. It is so valuable for everyone to be able to see that, you the writer, has also been caught up with the “bad side” on the internet and subsequently found a way to get into Affiliate Marketing. Your advice that we need to develop some strategies, and implement a plan are “spot on” and to be followed up with a marketing plan is exactly what is required. So I must agree that Affiliate Marketing is for beginners, as long as these beginners follow advice such as yours they will succeed. In fact affiliate marketing is for everybody. One best way is to start with blogging. That’s how I started to earn money online too.